If you didn’t know already, magicJack for BUSINESS headquarters is located in Atlanta, Georgia, so you can understand why Super Bowl 51 was of particular interest to us this year. We were (and still are) proud to have had our beloved Atlanta Falcons in the spotlight (finally!). 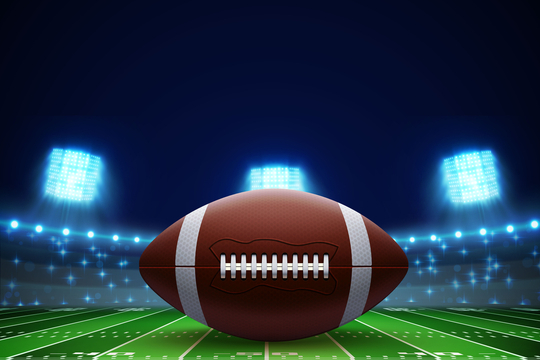 And with so much talk and excitement around the game, we began to discover several insightful correlations between football and the small businesses that our phone systems serve. It’s not as silly as it sounds once you start talking about these analogies. Talk about rewards – Arthur Blank, the owner of our Atlanta Falcons, took every employee to Houston to watch the Super Bowl. We’re talking seat ticket, flight, accommodations, and more. With more than 150 employees, he likely spent over a million dollars so that each one could experience the epic event. Now, you may not have Arthur Blank money, but the concept is the same. Rewarding your team makes them feel appreciated for their hard work–no matter what role they play]. When people are recognized for their efforts, it creates enthusiasm and motivation in the workplace–ideal conditions to help your small business grow. Rewards don’t have to be expensive either. A handwritten thank you note, a coffee, a birthday cake, or even letting people go home early on a Friday can go a long way toward moving your business forward. This is the same as keeping your eye on the prize. Every progressive step gets you that much closer to your goal of success. Just like with the Falcons, every win this season got them closer to the NFC championship, and ultimately, the Super Bowl. Stay focused on the process and appreciate the journey. Sure, there may be missteps along the way, but if you take them in stride and keep pushing forward, you and your team will achieve amazing things. Football teams consist of a bunch of different players. There is are coaches, offensive players, defensive players, quarterbacks, and kickers—among others. Just like with the various players on your team, the combined efforts of every one of them is what brings success to the organization. Be smart and delegate tasks to the experts. Ensure that each one has a “team player” attitude. It’s critical that each sets their personal goals aside and trusts that everyone will do their jobs to the best of their abilities. Matt Ryan doesn’t have time to second-guess whether Julio Jones will catch that ball he fires across the field. It’s Julio’s job - and Matty Ice trusts he’ll do his job. If you haven’t followed any of the Atlanta Falcon’s #InBrotherhood messages pre-Superbowl, you’ll likely find some inspiration in the message that coming together and bonding is key to success. It’s in that brotherhood that you rise. The strength of your organization is in the unity of your team, and the team is the ultimate champion, not any one individual. The Falcons have had their share of losses, including the recent one at the Super Bowl (sigh), but they have a history of learning from each one, embracing lessons learned so they can be better. Failures offer insightful opportunities to improve your game. As tough as it may be, learn to accept failure as part of the journey. Try to think of them as excellent learning experiences that will help your business move forward, not backward. It’s so important to be respectful after a significant loss. Whether you are a football player or a business player, people (fans and clients especially) are going to watch how you react to things. You’ll be admired if you keep a polite and classy demeanor. Even though they lost, we’re still proud of our Atlanta Falcons. They put up a good fight! So good, in fact, that the game went into overtime – a first in Super Bowl history. With their drive and perseverance, we’ll likely see them playing in a future Super Bowl very soon… maybe even at the new Mercedes-Benz Stadium in Atlanta!